This group is now closed. Please contact me if you would like information about upcoming groups. Reduce depression and your risk of depression relapse through mindfulness meditation. In the course you will learn to relate to depressive feelings and thoughts in new and mindful ways that improve mood states and ultimately reduce risk for depression. The course is based on Mindfulness Based Cognitive Therapy: A scientifically validated 8-week psychological treatment for depression relapse prevention. Location and schedule: Connecte Montreal Psychology Group, 1218 Greene Ave., #302, http://connectepsychology.com/ ​| 8 weekly sessions, Sundays 3:30 ­- 6pm from October 25 to December 20 (no meeting November 15) ​+ one half­ day retreat on December 12. Instruction is mainly in English. Fees​: $510 (includes workbook, recordings of guided meditations, and a half­ day retreat). A $250 deposit is required at the time of registration. Payment must be made in full by October 25 (first session) and is non refundable after the third session. Official receipts signed by a psychologist are available for insurance purposes. Scholarship​: One scholarship will be offered to a full-time student in financial need. The recipient of this scholarship will receive a discount of 50% on course fees. If you would like to apply please send a letter of application to nsawada@connectepsychology.com describing why you would like to participate in the group and why you are seeking financial assistance. Registration: Please contact Sabina at 514-­451-­3372 or drsabinasarin@gmail.com or Natsumi at nsawada@connectepsychology.com to schedule a free consultation to determine if the program is suitable for you at this time. Registration is limited to 11 participants and closes on October 21. 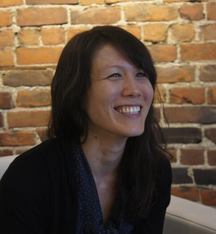 Dr. Natsumi Sawada is a psychologist and a certified yoga teacher. She has been teaching mindfulness, meditation, and Mindfulness Based Stress Reduction (MBSR) since 2011. She has completed intensive trainings in mindfulness, meditation, MBSR, and MBCT with experts in these fields. In her private therapy practice she specializes in Cognitive Behavioural Therapy (CBT) and mindfulness­-based therapies and also provides private meditation coaching. She has experience working with individuals with mood and anxiety disorders and facilitating MBSR groups and other group therapies. She is an avid meditation and yoga practitioner. Dr. Sabina Sarin is a licensed clinical psychologist and a certified yoga teacher. She has a decade of experience in researching and treating psychological difficulties, including mood and anxiety disorders, sexual and relational difficulties, eating disorders, trauma and stress. She has completed several trainings in meditation, mindfulness (for individuals and couples), pranayama (breathing exercises), therapeutic yoga, MBSR and MBCT, with leading experts in the field. Her approach to therapy is integrative and humanist, and incorporates her training in Cognitive Behavioral Therapy, Yoga and Mindfulness therapies, and Interpersonal/Dynamic techniques. She currently teaches yoga and meditation in private sessions, and personally maintains a daily yoga and meditation practice. To learn more about Mindfulness Based Cognitive Therapy please contact us!